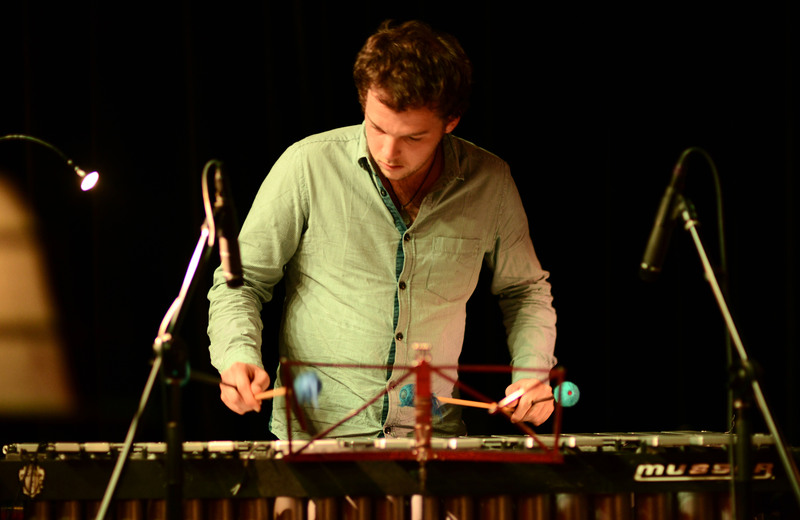 This young swiss vibraphonist of 21 years old just obtained in 2011 a Master in « Jazz Performance » at the Haute Ecole de Musique (HEMu) of Lausanne. He started to learn drums at the age of 4 and the vibraphone at 7. In 2004 he start to study jazz with Philippe Cornaz and in 2006 he reach the jazz department of the HEMu of Lausanne. In 2008 he win the Friedelwald scolarship. He followed masterclassses with Dave liebmann, Adam Nussbaum, Miroslav Vitous, Steve Nelson, Mulgrew Miller, Antonio Hart and Jacob Sachs. He played and still play with musicians such as François Lindemann, Sangoma Everett, Guillaume Perret , Julio Resende, Pierre Audétat, Robert Bonisolo, Hervé Sellin, Nicolas Folmer, Jenz Winter, Domenic Landolf, Dominic Egli, Malcom Braff… He played at many clubs and festivals such as Moods (Zürich), Chorus (Lausanne), AMR (Geneve), Gambrinus (St.Gall), B’Jazz (Burghausen), Mehrspur (Zurich), Unterfahrt (Munich), Montreux Jazz Festival, Estival Jazz (Lugano), cully Jazz Festival, Stanz Musiktage, Festival de la cité (Geneve). Since 2009, he’s been leading his own group, the Jean-Lou Treboux Quintet, with an album which has been released under the label En Face of Thierry Lang. In 2011 he win the Crédit Suisse price with his band at the Stanz Musiktage Festival.